There are 14 days left to enter! Our bespoke kits have proved to be quite the celebrity skincare staple. 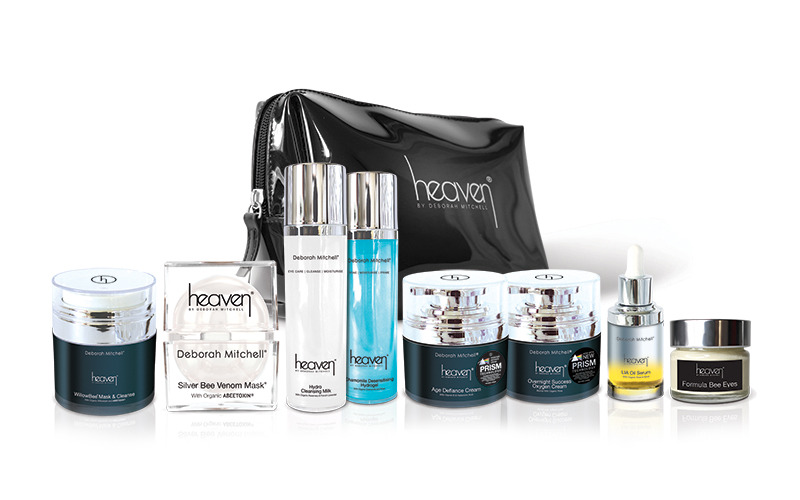 Filled with the signature Heaven products, you will have an entire skincare routine to see you through from AM - PM. Your skin will have never looked so good. This bespoke kit boasts eight products that are world renowned for their anti-ageing properties and significant results to improving any skin type. This exclusive facial kit has been specially created using natural and organic ingredients, including Deborahs patented ingredient ABEETOXIN. This home facial is perfect for those people looking for natural anti-ageing effects without the need for any syringes! Bee beautiful, naturally.